Justice For Kennedy: JFK, the great...........Italian? 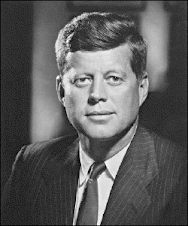 The History Channel begins a series of shows on JFK starting Sunday, October 11, 2009, the day before Columbus day because as everyone knows JFK was a great........Italian? First up Sunday at 9:00 p.m. is "JFK: 3 Shots That Changed America," which is supposedly a new show, but I'll bet, judging from the title alone it's got the same old Warren Commission approved conclusions. 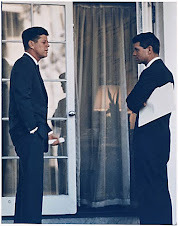 Monday, has "JFK: 3 Shots That Changed America," again. This may be the second part, the first part airing on Sunday. Tuesday has "Kennedy's: The Curse of Power." Almost as good as the Ed Wood, "Curse of a Bad Title." Wednesday has "The Nostradamus Effect," a show that's so old it has more dust on it than on a book about Warren G. Harding. Now if memory serves these idiots put in a false audio of three shots when Ruby shoots Oswald. Researcher Milicent Cranor, unfortunately, ran with this false idea that indeed Ruby shot Oswald more than once and showed a clip from this show as proof at a Fourth Decade conference in Fredonia, N.Y. in 1994. 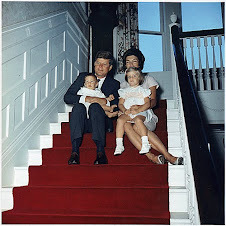 Thursday has "Kennedy Assassination: Beyond Conspiracy." Does that title make any sense? 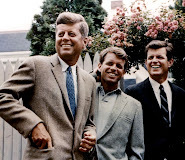 Friday has "JFK: 3 Shots That Changed America," again. Is the History Channel still being punished by someone for The Men Who Killed Kennedy shows 7-9? Are they not allowed to air Kennedy assassination material in November anymore?